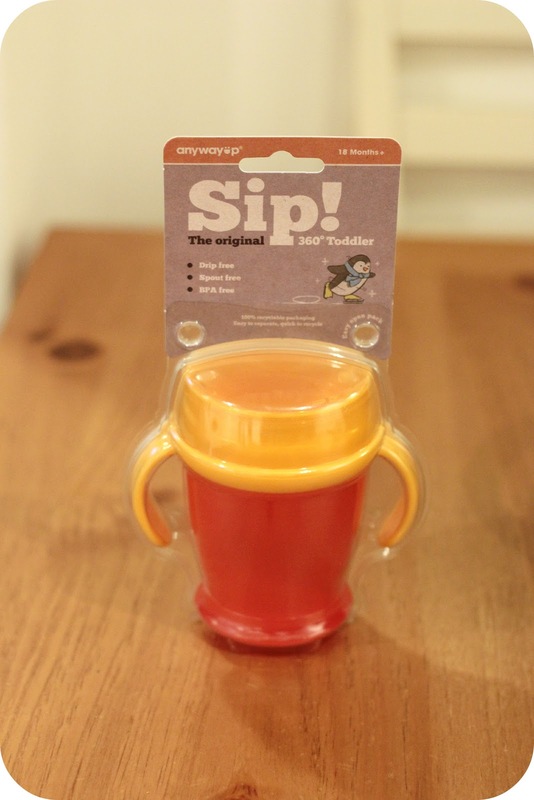 So the lovely people at Anyway Up where kind enough to send me a 360 toddler cup to review and I was really excited to receive this after so many spillages in the past and also because not only do they look more stylish than most toddler cups but they also have a different design that is more like drinking from an actual cup rather than a beaker. I was really happy to see that the packaging was from 100% recycled materials and was easy to open. 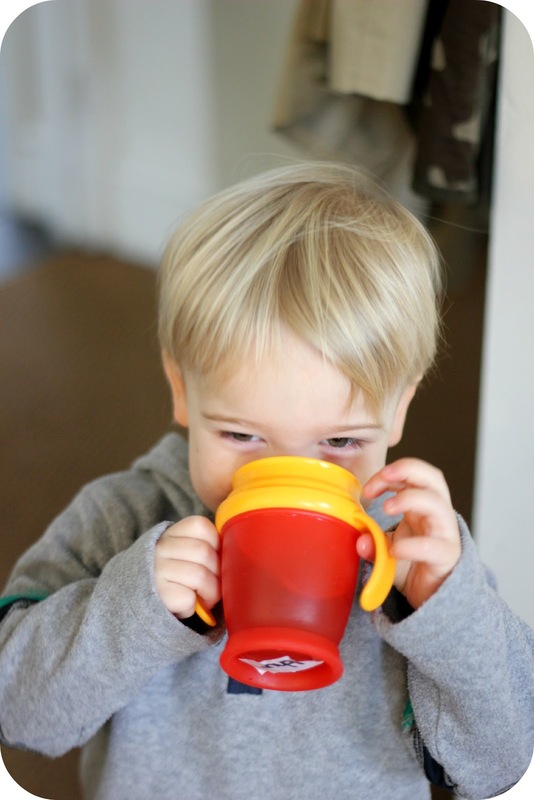 The 360 toddler cup is suitable for 18 months plus and features and innovative circular valve system which means Mr A could sip from anywhere around the rim - just like a real cup. So instead of sucking like you would on a beaker it moves with the toddlers progression to sipping and we feel it has really helped his confidence with using normal cups and now drinks from mugs and cups with ease. Also all of the anywayup cups are BPA free. This is a claim a lot of cups make and we no from experience that most of the time they do leak, in the bag, over you or over your child and it's very annoying. I have to say this one is pretty water tight and even after being upside down in the bag with only a little drip. The only thing to watch out for is that they handles are not attached to the cup and a few times just before washing I have taken the lid off which keeps the handles on and grabbed the handles only to tip over what was left in the cup - but that was more due to my own clumsiness than anything. Arthur loves using this cup on the go which is important because some he has not been so taken with. It's a very well designed and good quality cup and really is as drip free as we have seen. I would recommend this to parents of toddlers who are looking to bridge the gap between beaker and cup. 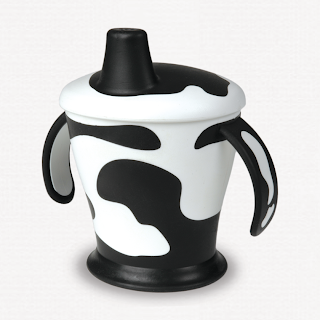 Anyway Up Cup also do a beaker from 6months and really cute cow cup with an inbuilt drip free valve.